Christmas holidays are just a few days away and what could delight us more than to search for the best gifts and wrap all these for our loved ones and friends. The thing is we simply don't have any idea as to what to search, buy or wrap for each of our family member and friends. It would be helpful if you know what interest your loved ones. You can check out their distinct hobbies and other likings and with these, you are ok to search for the best gift. Remember that it is your thoughtfulness that would be remembered, so, happy gift giving! General Santos City is one young urbanized city in the South. 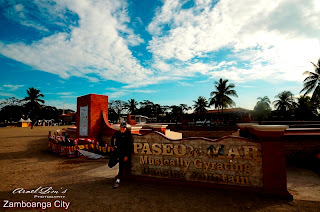 And, who won't miss this beautiful city if you are lucky to bump to the city's home - grown champions from Manny Pacquiao, Shamcey Supsop to young talents, Showtime's XB Gensan and Youtube Random Girl Zendee. But, how do you get to this lovely city? Depending on your place, you can travel by land, air or sea. If you shall be coming from Manila, the most convenient is by air through AirPhil and CebuPac. If you shall be coming from Mindanao, you can travel by bus through Davao City or Tacurong City where Yellow Bus or Holiday Bus hailed from Davao City or a Rural Transit from Cagayan de Oro. A fare of around PHP 250.00 is ticketed on one - way route from Davao and around 700.00 from CDO. Once you get to the GenSan's international airport, if your hotel doesn't provide free shuttle, you can hail a taxi (which is a flat rate of 300 - 400 depending on your destination) or for a backpacker, a multi - cab can be shared with other passengers at 50.00 each. You can move around GenSan using a trike at 8.00 - 10.00 fare. One affordable accommodation is the Dolores Hotel situated next to the Public Market and is 1 tryke away to 4 major malls. Should you like to check the white - pristene beaches of Glan, or go zipline in Conel, you can ask assistance through the city's tourism. For Glan resort, you can direct yourself to KCC Mall's Terminal for van for hires to Glan. Around 100.00 is the individual fare. About 1 hour trip, you can practically enjoy the scenic trip to Glan and enjoy the long strips of beaches. For zipline, You can check out Fifth Mountain's B'lakayo Facebook page, so, you can communicate with the zipline's owner or personnel and if travelling with a group, they can somehow arrange a vehicle for you. There is also water tubing, trekking, diving, museum in Upper part of Sarangani and a trip through the vans for hire near Bulaong Terminal can transport you to various locations. Should you need help, the city police and locals are very helpful. And while you are in GenSan, never miss the city's specialty of tuna, tilapia and other seafood at way cheap rates. So, have fun! We wish to have a fun vacation but sometimes this can be dampened or even unthought of especially if matters of budget are considered. Assess all your accommodation packages. Check for low - rate hotels but make sure that safety and basic comfort is not at all compromised. Travel light, so, as you don't to pay extra for excess baggage or hail for a comfy but expensive transportation. But, if you so desire, then there are taxis or tampa limousine service for hire. With light bags, you can practically ride on public transportation like buses, jeepneys, or trike for lesser fares. If travel on foot is possible, then, do this. Before you head out of your place, have a light load of snacks and hydration for a cheaper hydration session. Stay clear from buying randomly. It would help you a lot if you can speak the local's dialect even for basic instructions but if not, then, a chat with the city officials or police can be quite helpful. Keep a handy load of local money and seed money through your cards just in case emergency expenses arrive. When my family had to visit a new city, I was practically sleepless in the evenings and anxious what would happen to the entire course of our vacation should we stay for a couple of days in a new city with no one to assist us. So, it is only proper that I start this "How - To - Go - To" section to assist whoever wants to visit the my beloved hometown. Let us start with Zamboanga City. 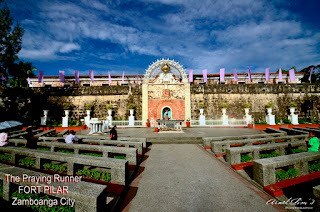 It is situated in Western Mindanao and the last city in the western side of the country. You can practically head to this beautiful Latin City of the South through by land, sea or air. For years, Super Ferry (now 2GO) used to travel to GenSan City from Davao and Zamboanga City, however, this year, the sea trips have been canceled until further notice. If coming from Zamboanga City Airport, you can hail a trike but they can be quite pricey, so, make sure that you contract the driver for a fixed rate. There are several cheap hotels and inns along the airport's block but you can always go the mid - city and stay at Perlita Hotel or Paradise Hotel at reasonable rates. They are accessible to most shopping centers of Zamboanga.. There are ancient tourist destinations in Zamboanga City which includes the miraculous Fort Pilar. You can walk to this spot for a kilometer or less from the city. After your prayer at Fort Pilar, stay until early ( or late) evening at Paseo del Mar and enjoy the sight of Sta Cruz Island and watch the Badjao natives as they sell their sea crafts or dive for your donated coins. Night life is quite good in Zamboanga City, if you simply want a Karaoke - good dine place, there's a resto strip in Paseo del Mar or at Yubengco Mall in Guiwan. If you have the luxury of time and budget, enjoy a free (almost) run or swim around the city's sports complex in Baliwasan. You can also do an island hopping to Sta Cruz Island for a minimal fee. You can coordinate with the city's Tourism Council. So, before you head home, try their food delicacies. I personally love the city's buko pie at Antonio's and the crabs immersed in bagoong gata at Alavar's. For more details, you can check out the city's website. Have fun in Zamboanga City!